...With Our New 10mm and 16mm Signs! 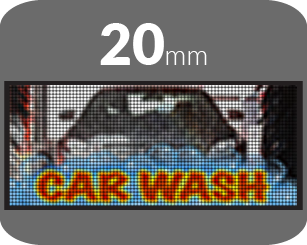 Your audience will never miss your message with the new and beautifully crisp 10mm and 16mm outdoor displays from AdChoice LED Signs. Plus, you can speak with one of our project managers and shop with confidence knowing that we'll make sure you get the right size EMC for your organization. Simply fill out the form on the right, or give us a call at 800-379-0256 to speak with someone today. And don't forget to take advantage of our current special: Receive a FREE accessory pack—that's a $1,749 value—with the purchase of a new 10mm or 16mm sign!